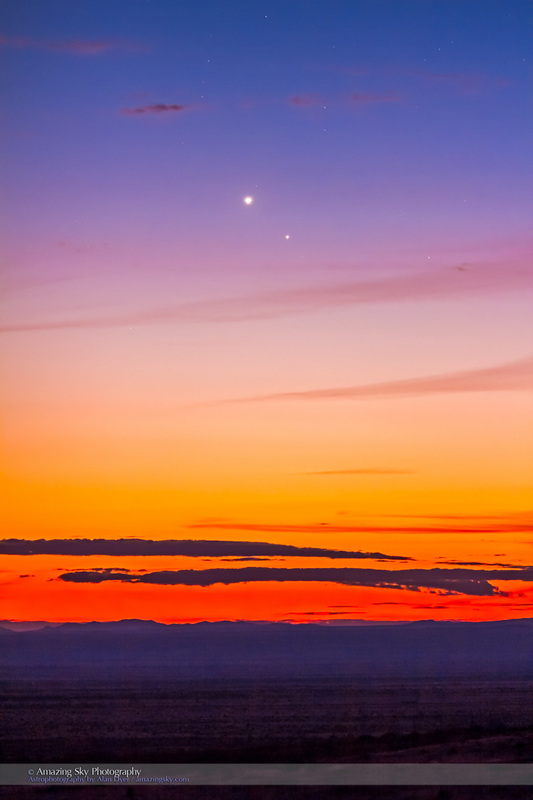 Here is the Mercury-Venus conjunction for real, from Saturday night. In my last post I described the upcoming weekend conjunction of Mercury near Venus. Well, here’s the real thing, in shots from Saturday night, January 10. 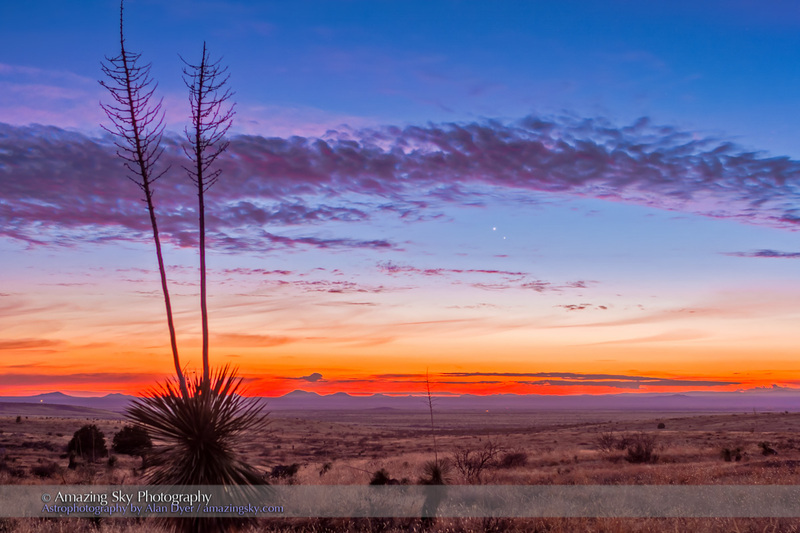 Mercury is the dimmer of the two objects in the colourful evening twilight in the enchanted skies of New Mexico. The top photo is a “normal” lens view of the scene. The photo below zooms in on the pair with a telephoto lens. Mercury is nearing its greatest angle away from the Sun and will remain near Venus for the next week. 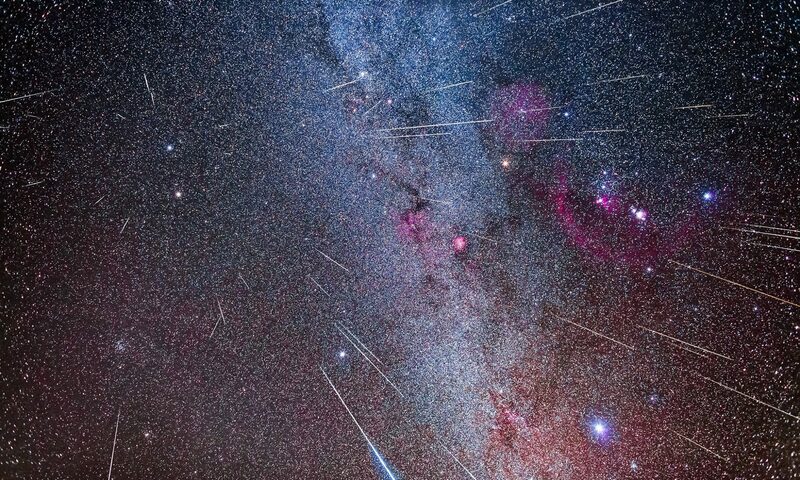 So if skies are clear in the early evening, take a look. Mercury is very easy to sight with unaided eyes. If you have not seen the innermost planet, this is a good chance to check it off your “to see” list. A fact to keep in mind: both planets have probes orbiting them, but both are nearing the end of their missions. Europe’s Venus Express has ended its mission and is about to make its final plunge into the dense Venusian atmosphere. At Mercury, NASA’s Messenger probe has gained a small reprieve, with it now expecting to impact on Mercury at the end of April, a month later than expected.